As you know, CNC machines vary in size. There are small machines perfect for smaller projects and spaces and there are huge machines that are used in factories for large-scale projects. The machines we carry and that are on display in our showroom are on the larger side, but, for those of you who want to try CNCing out of your home or work space, a smaller unit is a good starting point. Learn about smaller CNC machines in the article from Popular Woodworking Magazine below. 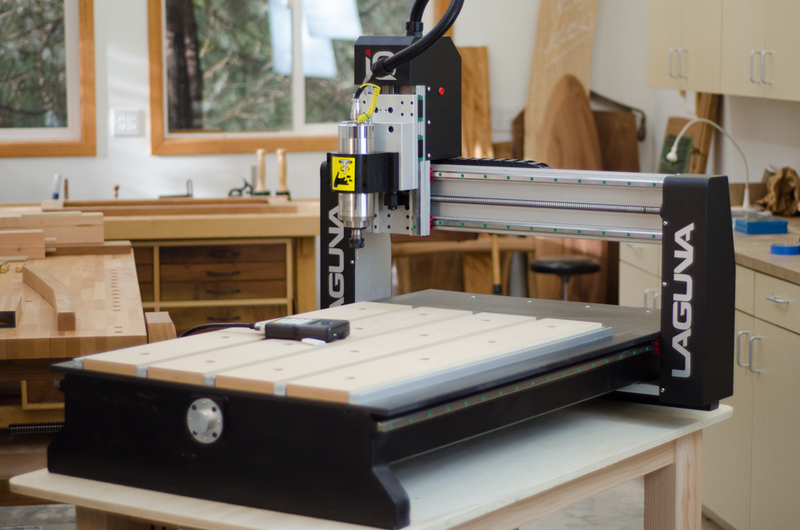 This Laguna IQ 2x3′ CNC, like others in this class, is well designed and engineered for small-shop digital woodworking. If youre at the point to where youre at least thinking about the idea of adding a CNC to your shop, then youve likely done some research. If thats the case then youve certainly noticed theres a huge range of sizes and prices of machines to consider. 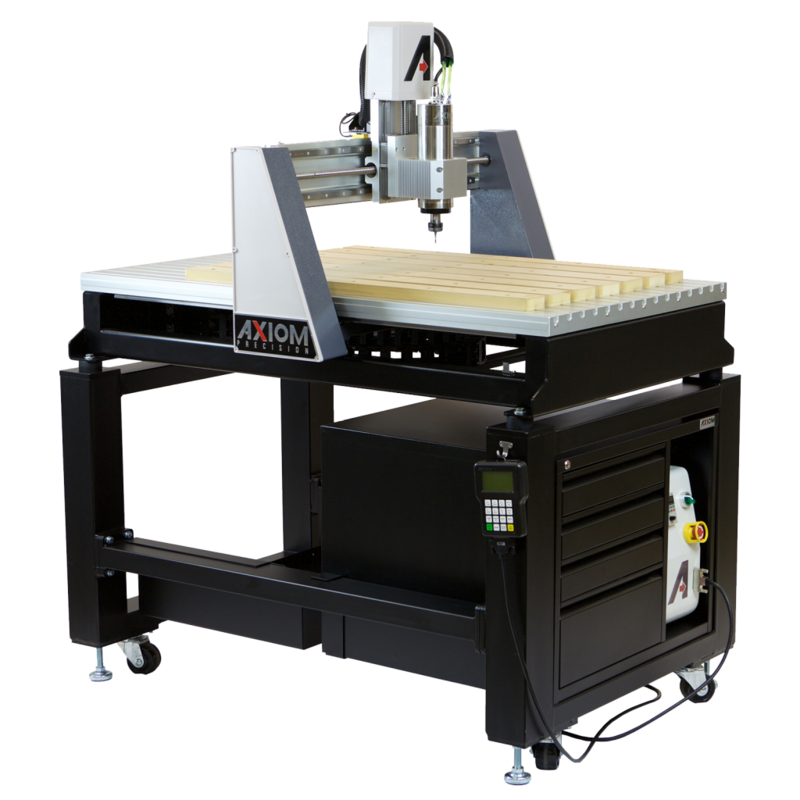 With CNC routers from as small as 12 x 18 to as large as 5 x 10 in size, and prices from a few thousand dollars up to the stratosphere, theres a lot to think about. There is a way to narrow down the choices quickly. Thats to keep in mind that  more than any feature, or level of performance, or price  its the size of the CNC that directly determines the kind of things that they can best be used for. So I encourage readers to think beyond those flashy 3D carving demos that every manufacturer has and consider some of the practical things that you might use a CNC for. The smallest machines that are suited for detailed carvings and small project work might not work quite as well for furniture projects if your intention is to use it for cutting parts. The larger machines are designed around cutting full sheets of plywood but may be too big to fit in your shop. So whether youre driven by need, space or cost, the best solution for many woodworkers needs is likely somewhere in the middle. Over time, Ill cover different sizes and classes of CNC machines from less expensive tabletop machines all the way up to bigger, fancier, and thus pricier, solutions. But thats a lot to cover. Since I cant do it all at once, a good place to start is at the intersection of size/function/price where I think a lot of woodworkers will be most interested: CNC machines that are large enough for a broad range of hobbyist/small shop furniture projects. They also happen to be around the size of a table saw and priced just above a fancy one. That makes them a nice fit in home or small professional shops that are typical of many Popular Woodworking readers. What size of CNC am I referring to? Machines that are in the range of 24 wide by 36 to 48 long. A machine of this size is well-suited for cutting parts for the majority of furniture projects that a serious hobbyist would likely to build. The smaller machines in the range could be used to make guitars, parts for smaller cabinet projects, 3D carving details, many furniture parts, stools, chairs and just about any kind of shop project or jig you could come up with. Keep in mind that with any CNC there are ways for even smaller-sized machines to work on larger projects, so they can definitely work as well as the larger size. Its just easier to start with enough length to begin with; that extra foot makes the 48 of some models a plus for longer furniture parts like dining chair backs and some cabinet pieces. And, as a division of 4 x 8, a 2 x 4 CNC is a natural for plywood-based projects. In this size range, there are at least a dozen candidates including machines from ShopBot, Shark, Automation Technologies, Legacy CNC Woodworking and more. Plus, there are a handful of companies that produce quality kits like CNC Router Parts and the wonderfully designed Grunblau Platform CNC. Over time, I hope to look into these and other CNCs in more detail. For this article, Im going to focus on a specific group of machines that are very similar in terms of design, engineering, and choice of components. These are the machines made by Laguna Tools, Powermatic and Axiom Precision. Ive had the opportunity to use two out of the three on CNC projects, so Im familiar with their capabilities and have had a close look at the third. Between their components, specifications and construction, they have much in common and much to like. So, lets have a look. These are the features that make this 24? x 36? to 24? x 48? class special  and give digital woodworkers a lot to like in a package sized for a small shop. What Machines are in this Class? This 2′ x 3′ Axiom Precision AR6 Pro and the Powermatic PM-2x4SPK are sized for many woodworking tasks. In Part Two, Ill get into more details about these CNCs, their design, engineering and of the kind of woodworking tasks that theyre suited for. After that, a review of the Laguna IQ CNC.